Gone are the days where buses were used to get large groups from A to B. The uncomfortable seats, and the mundane interior was never anything to get excited about. Well, we have come a long way since then. Buses are now considered to be an exclusive party venue. Those rock hard seats have been replaced with cushy, comfortable lounge-style seating. The aisles have become dance floors. The interior has been jazzed up with LED lights, TV screens and epic sound systems. And some buses even have a bar on board. It’s true, Party Bus has taken buses to a whole new level and created the perfect place to hold your next event. 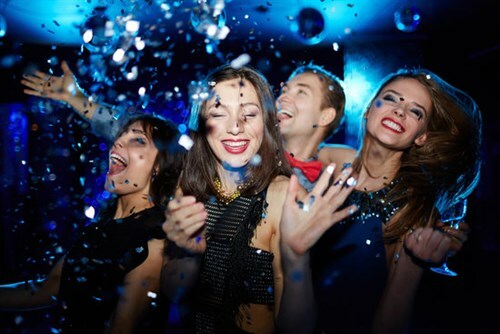 As winter has well and truly set in, Party Buses are a great space for you and your friends to enjoy the excitement of this traveling venue whilst staying warm and extremely comfortable. For as little as $25 per head, you could have one of the four vehicles on offer in the Party Bus fleet. That’s far cheaper than what you could spend on drinks at a bar in one night! Each bus has its own seating availability and the larger your group, the cheaper it becomes per head. So get your group together – the more the merrier. Depending on the nature of your party, we have four vehicles to choose from in our Party Bus fleet. Premium – A classic-style bus with a glamorous interior. Equipped with party lighting, lounge-style seating and an iPod connection that hooks up to a great sound system. Seats up to 36. The Rock – The newest addition to the Party Bus fleet. 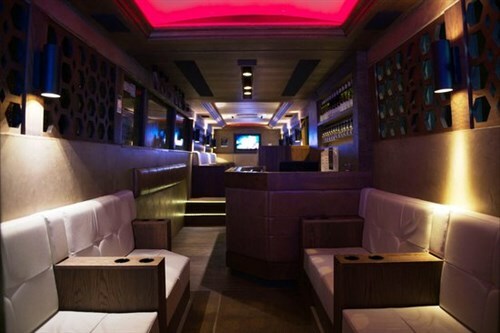 The spacious seating, party lighting, dance floor and on board bar make this bus a favourite among party goers. Seats up to 41. Ultimate – The largest limo party coach in Auckland. With a 42” plasma screen, on board bar, movie and karaoke facility, this luxury coach will not disappoint! Seats up to 35. VIPER – For luxury at its finest, the VIPER stands out among the rest. With an executive bar, luxury seating, 3 LED TVs and personal DJ, the VIPER is sure to make you feel like a true VIP for the night. 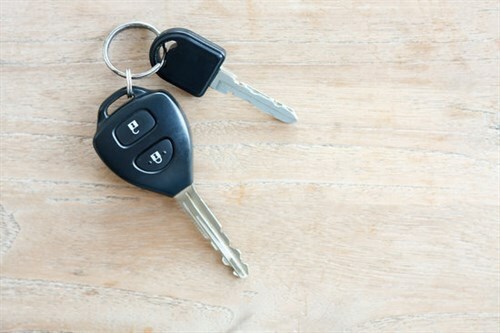 It’s among the list of things to organise when planning a party – who’s going to drive? After all, we all want to stay safe. Particularly for larger groups, this can be a tricky obstacle as cars only allow five people. So technically, you need several drivers to ensure everyone arrives home safely. With a Party Bus as your venue, you simply don’t need to worry about this. You can all have an equally good time without having to arrange a multitude of designated drivers. All you need to do is tell Party Bus where you’d like to be picked up and dropped off. Leave the rest to us. The Ultimate Party Bus, The Rock Party Bus and Viper Lounge Coach are all equipped with an on board bar. We keep our drinks prices low and have plenty of variety available. Your host and bar manager will serve drinks throughout the night. You won’t have to lift a finger. For a cost-effective solution, the Premium Party Bus offers a BYO option. 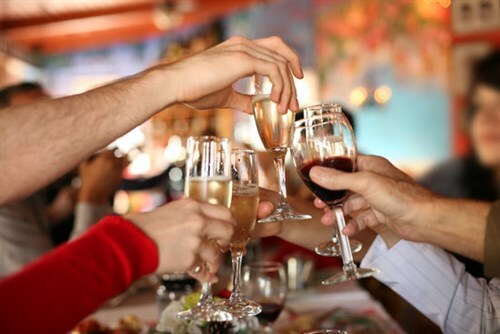 Just hand your drinks to our Bar Manager at the start of the night and they will serve them to your guests. It goes without saying that our buses are comfortable and once you see what the interior of a Party Bus looks like, you’ll never look at buses the same way again. Each of our four Party Bus vehicles have their own qualities that make them great party vehicles. Whether it’s the lounge-style seating you want, or a a large dance floor to party the night away, Party Bus has a bus for you. Or perhaps you want to go all out and get the full VIP treatment that the VIPER has to offer. Whatever you decide, Party Bus has you covered. 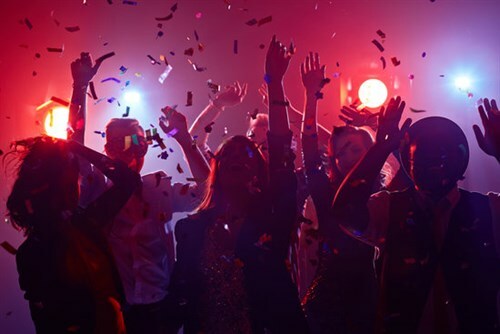 It’s true that time flies when you’re having fun, so we offer a four hour hire on our Party Buses to make sure you get the most out of your night. 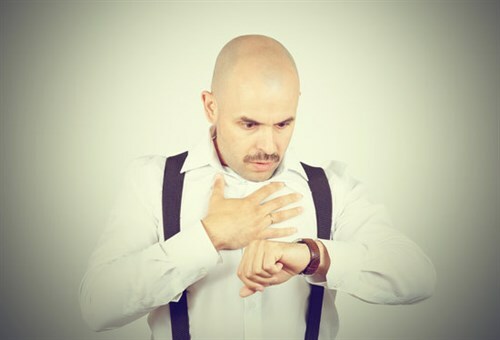 You won’t need to constantly watch the clock to see when your time is up, you have plenty of it. Just enjoy the time with your friends and create a night to remember. At Party Bus, we’re not going to stop multiple times and turn a short trip into a painfully long journey. The bus will not be filled with strangers. And you won’t be turned away for forgetting your bus card! In fact, next time you catch the public bus home, you might just find yourself analysing its potential to be something much bigger and better. Party Buses really are the best party venue. Call Party Bus today and secure one of our vehicles for your next event. Go on, do it!